Even with all the information available on the internet these days, it can be downright impossible to find people. 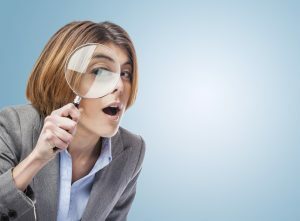 If you have scoured every inch of the web and still cannot find who you’re looking for, it may be time to hire a private investigator for location services in Philadelphia. At Samos Investigations, we are experts at utilizing little-known resources and tracing leads to find individuals who have disappeared, gone off the grid, or are hiding from the authorities. We have assisted in many investigations involving criminal activity and missing persons, as well as helped private citizens find long-lost relatives. Pinpointing a person’s location and recent activity is a specialized art form, and is one that we take seriously. There are many factors that go into a location investigation, and we weigh each one in order to get a good idea of the case at hand. Then, using our information assets and skip-trace technologies, we conduct our research, gathering surveillance and interviews to find the individual in question. Our team at Samos Investigations is highly-trained, and has successfully aided cases from attorneys, debt collectors, repossession agents, and many more. Whether you are representing an agency whose assets have gone missing, or you’re an individual hoping to track down a missing person, you can count on us to give you the peace of mind that you deserve. Reach out to our firm today to request your free consultation with a private investigator for location services in Philadelphia and surrounding areas.